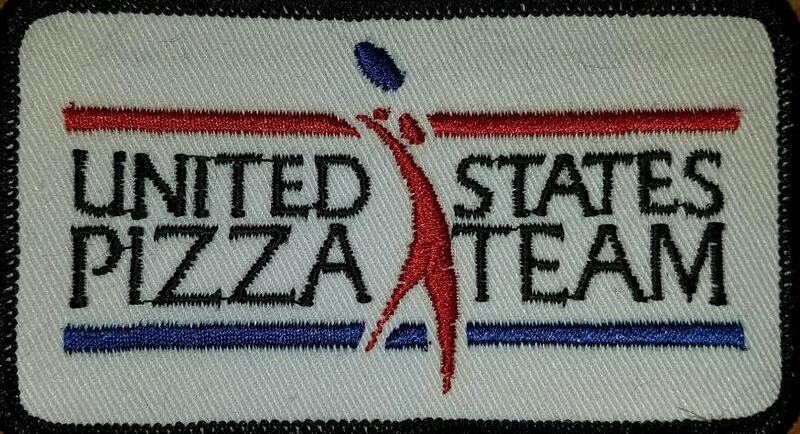 Support the US Pizza Team today— every donation matters. 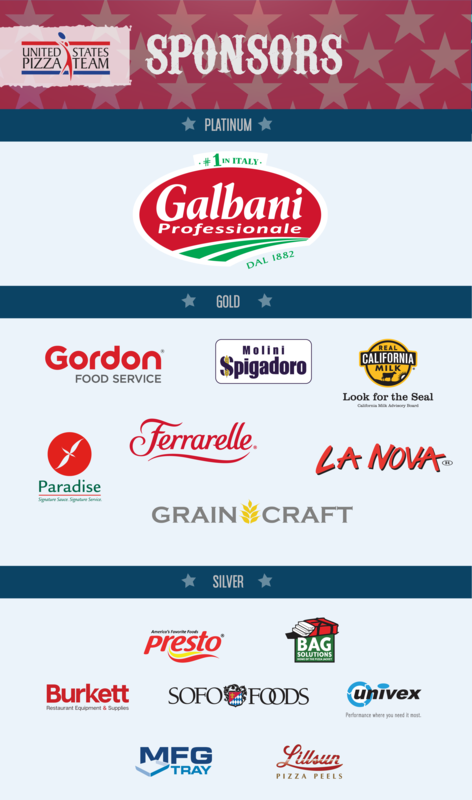 A donation to the US Pizza Team is the best way to support our athletes and pizza chefs. Every dollar helps give them the technology, coaching, and other resources they need to achieve their dream of representing our country in pizza competition here and abroad. Supporters making a gift of $50 or more can choose to receive a FREE US Pizza Team thank-you gift! Our expressive patches are great for backpacks, jackets and more to show off your US Pizza Team Pride! 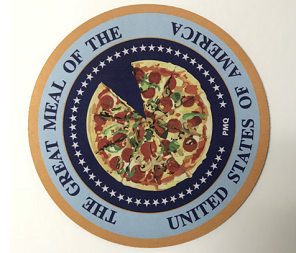 “The Great Meal of the United States of America” Computer Mouse Pad let's you conduct business in style. The U.S. Pizza Team is a group of expert pizziaolos and pizza acrobats who compete in national and international pizza competitions. The team was founded in 2000 in collaboration with PMQ Pizza Magazine, the leading national trade publication for the pizza restaurant industry. Drawing pizza talent from across the United States, the U.S. Pizza Team promotes camaraderie through sportsmanship and team work throughout the world. Scott Volpe takes the Silver in Feestyle Acrobatics in Italy!